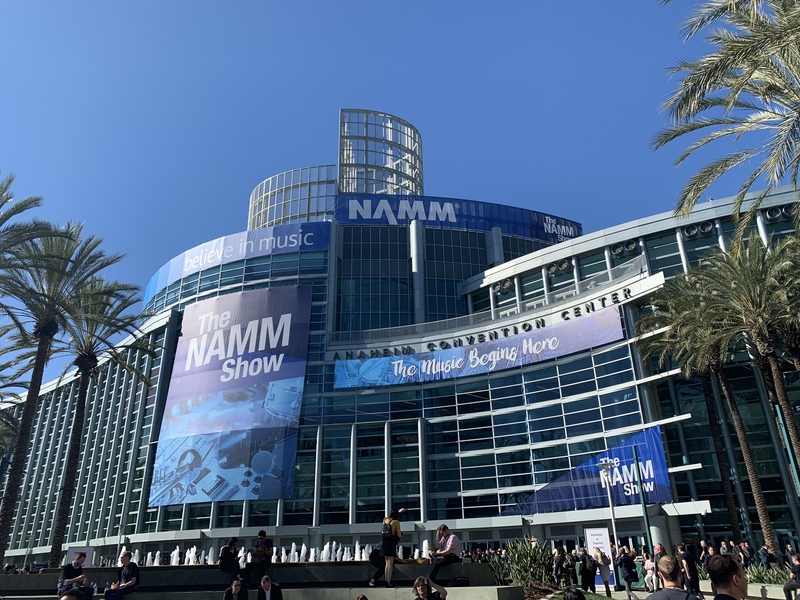 I was lucky enough to attend this years winter NAMM 2019 showcase in Anaheim this year. I’ve been to other audio conventions and summits throughout the years but the enormity of NAMM is inspiring. Each new piece of audio tech begs for your attention as you traipse from room to room, booth to booth. It’s a four day show. I’m not sure thats enough for someone like myself. It’s an experience that all gear lovers should take part in, provided you can fight the urge to throw your credit card at each booth. Since it was my first show I took a more hands-off approach. I filmed the booths of some of my favorite companies to see what they had to offer. I was able to get most in depth with the Korg Minilogue XD. The show floor was loud, but I was able to plug my portable audio device, the Zoom U-44, into the XD to get some direct audio. From my short experience with it I think it sounds great. As much as I love my Minilogue this is an upgrade I’ll be taking part in. I do find the plus-ing of already popular synths like the Minilogue and the Sub 37 to be a frustrating situation. It would be nice for the companies to offer some sort of buyback like phone companies do. I got my moneys worth out of my Minilogue and have no complaints, but if it was just purchased a couple months ago my feelings might be different. Here are some videos I took from NAMM. I am checking out a showcase floor, as well as a few popular instrument companies booths and whatever caught my fancy at the moment. I don’t think of myself as a media format, rather a musician sharing my experiences with you. If you’re here you make music, and we all learn from each others journey. My one seemingly unpopular opinion is I wish The Volca Modular had patches similar to the MS20 mini, instead of bread board cable connections! From 2 days on the show floor these cables seem to already be flimsy in a design thats meant to be portable. You might not agree but I feel like this can lead to some poor connections in the future. I could be wrong! Make the judgement for yourself, I suppose. Enjoy the videos! And as always, check out the youtube page and subscribe for more content.